Dr. J. possesses a doctorate degree in Clinical Psychology and has served internationally in the USA, the Caribbean and the community of St. Maarten as a Clinical Psychologist for the past 30 years. Supervised and managed psychological services provided to emotionally disturbed children. Senior member of the decision making team regarding dismissals, releases and admittance procedures. Provided individual, group and family therapy for emotionally disturbed children and adolescence. Engaged in regular consultations with teachers, parents, psychologists as well as other Mental Health Professionals. Designed and developed treatment plans for children and adolescence with behavior disorders and psychiatric hospitalizations. Coordinated all aspects of Psychological Services for the above mentioned clients. 1990-2000: Established her private practice and also worked as a consultant providing various psychological services to the community, such as, counseling for children, adolescents and adults who were physician as well as self referred clients. Dr. Arndell also provided psychological evaluations for the justice system on court referred clients. Provided consultations to the various schools and private companies as well as conducted various workshops and seminars for companies and the community. 1991- Present: Clinical Director of The Turning Point Drug Rehab Foundation for the past 27 years; Conducting drug and alcohol evaluations, supervising and managing treatment provided to clients. Manages and supervises daily operations of inpatient and outpatient treatment for volunteer and mandated care. Presently assumes full responsibility for the complete management and operation of the treatment programs. 2000- 2003 – Headed the section "Mental Health Care" within the public health department of The Island Government of St. Maarten, were she managed and supervised mental health services for the chronic psychiatric patients, conducting crisis intervention. Formulating and implementing policies and programs for community mental health services. Project Manager for the establishment of the Mental Health Foundation. 2001-2002: Functioned in capacity of "Acting Head" of The St. Maarten Ambulance Department within the Public Health Sector of The Island Government of St. Maarten. 2001 to 2005 – Worked as part time Instructor at the University of St. Maarten where she taught psychology. 2005-2007: Worked as a Part time Psychology Instructor for the University of the Virgin Islands in Collaboration with the University of St. Maarten in the Masters of Education/Counseling Program. 2005-Present – Founded the UJIMA Foundation and Established the UJIMA Residential Therapeutic Home for Emotionally and Behaviorally Disordered Boys ages 8-13. 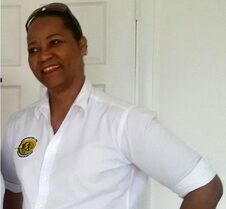 2010-2015 – Functioned as Vice President and Member of the Parole Board of Sint Maarten Dutch Caribbean. 2015 - Present - launched and manages UJI After-School Day Treatment Program for “At Risk Boys” as an extension of Ujima. provide comprehensive psychological evaluations as requested by organizations as well as offering personal development training...... such as workshops, seminars and retreats on a variety of subjects for personal growth. Offer supervisory and psychological consultations to organizations in need of her expertise. Employ, train and place personnel into organizations that require special monitoring and therapeutic guidance services for their clients. Provide clinical managerial consultancy for organizations and institutions where it is responsible for program guidance and management; providing psychological therapeutic and psycho-social care as well as psychological evaluations for children, youth and adults. Dr. Arndell is presently in the process of reestablishing individual counseling along with compatible matchmaking by means of online services. Dr. J is a member of various committees and foundations and has received many awards of recognition and appreciation for her work in the community and the Caribbean.